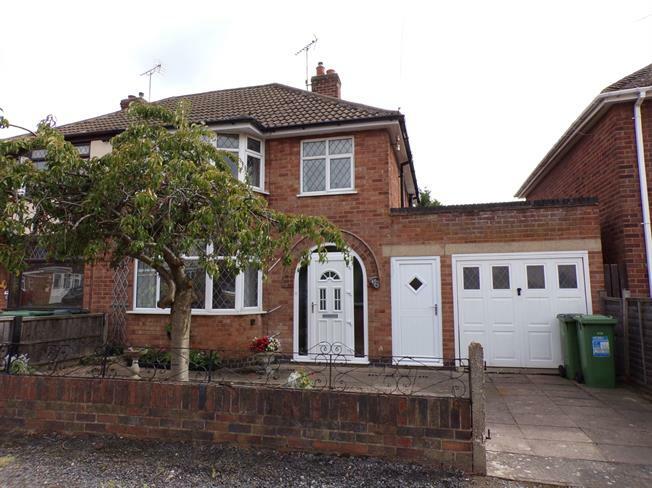 3 Bedroom Semi Detached House For Sale in Leicester for Asking Price £190,000. A three bedroom semi detached property which has accommodation comprising porch, hall, spacious lounge diner and kitchen. On the first floor are three bedrooms and bathroom. Outside the property benefits from off road parking to the front which leads to the tandem garage. To the rear of the house is a well maintained enclosed garden with patio and lawn. The house requires some updating and is being sold with no upward chain. Early viewings are advised to avoid disappointment.